Neonicotinoids are a class of synthetic pesticides commonly used in the agriculture and horticulture industry. Compared with older types of pesticides, such as organophosphates, neonics were more effective, and safer to humans, mammals, birds, and fish. This clearly contributed to the widespread use of these chemicals for pest management. Neonicotinoids can be applied as a foliar spray, drench or granule. More commonly, seeds are coated with a neonicotinoid as a preventative measure. Systemic seed treatments protect the seeds from within, because their active ingredients are taken up by the seeds, helping them to fight against pests during the first stages of plant development through to its maturity. So many agricultural crops such as corn and soybean rely on the use of neonicotinoids. In the horticulture industry, neonicotinoids are used to defend ornamental and nursery crops. However, recent publicity regarding the potential toxicity of these chemicals to bees has put neonics on the hot seat. This mass movement against neonics has led to a ban of its use by the European Union, and many initiatives to have other countries follow suit. 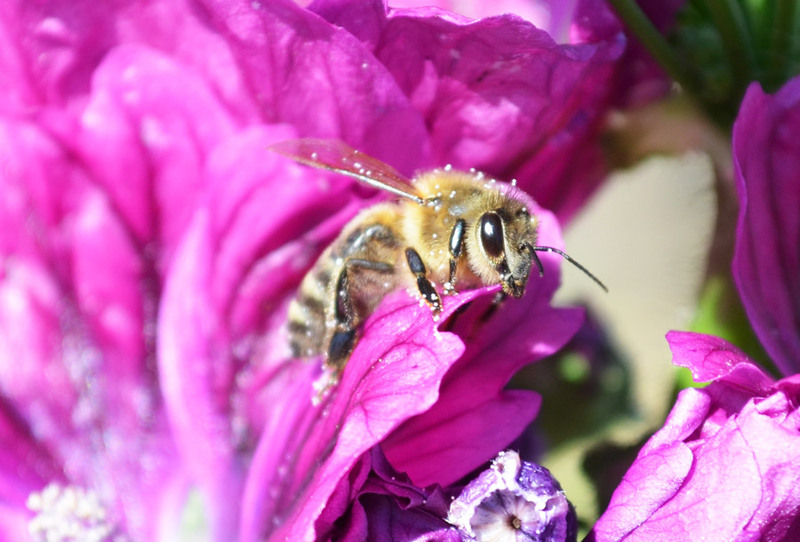 Published studies have raised concerns about a connection between the use of neonicotinoids and potential environmental impacts including bee decline, bee health and Colony Collapse Disorder (CCD). There is no definitive answer on whether or not neonicotinoids have adverse effects on plant pollinators. The truth is that we still do not know. Scientific research is still split on the issue, with some studies finding connections while others do not. Regardless, Meadowlands Horticultural has transitioned towards the use of biological controls (controlling of pests and diseases with natural enemies) in our integrated pest management program. Our program advocates that pesticides be used as a last option, not the first. Until more conclusive research is presented, we prefer to err on the side of caution so we have stopped the use of neonicotinoids on all plugs, liners and finished crops since 2014. Meadowlands will continue to be neonicotinoid-free.